WASHINGTON (CNS) — St. Francis of Assisi’s reception of the stigmata, the wounds of Christ, at La Verna in Italy and its depiction by artists beginning in the 15th century is the focus of a National Gallery of Art exhibit. “Heavenly Earth: Images of Saint Francis at La Verna” includes 30 pieces of Franciscan art centered on the miraculous 13th-century event. The exhibit was to open Feb. 25. Ginger Hammer, an assistant curator at the museum in Washington, said the display focuses on an “unprecedented event in Western spirituality.” No one in recorded history had experience such an occurrence before St. Francis did in 1224. It happened while St. Francis was meditating on the passion of Christ during one of his regular retreats in the mountain wilderness. “He wanted to understand the very suffering that Christ endured. The result of his prayers reportedly is that a seraph, or six-winged angel, approached him enfolding the image of Christ on the cross. When the seraph departed, the actual wounds of Christ’s passion were transferred to the body of Francis,” Hammer told Catholic News Service Feb. 20 during a media preview. “That had never happened before and it was quite remarkable that through his own endeavors something mystical of this magnitude could happen to a human being,” she said. A Franciscan sanctuary and museum complex mark the La Verna site today and continues to welcome pilgrims. The event was so extraordinary that artists over the centuries have tried to capture it to share with others. The exhibit focuses on work in various media from the 15th through 18th centuries. Each piece showcases the imaginations of artists inspired by some aspect of St. Francis’ experience: his devotion to being one with Jesus; a life lived in joy; the promotion of love of other as brother and sister; and an appreciation of nature and God’s creation. Some are highly emotional while others are more impressionistic. The exhibit features engravings, pen-and-ink drawings, etchings and hand-colored wood cuts by Italian, German and Dutch artists including Nicolo Boldrini, Federico Barocci, Sebastiano Ricci, Lucas Emil Vorsterman and Johann Matthias Kager. There’s even a work from Rembrandt, “St. Francis Beneath a Tree Praying,” created in 1657. Many of the images include St. Francis’ close friend, Brother Leo, as well as other landmarks, such as churches, and symbols meaningful to local communities. Not all of the works on display capture the miraculous moment. Some show St. Francis embracing the Christ Child or with the Holy Family, a reminder that he introduced the idea of a live Nativity to teach people about Jesus’ birth. Hammer said she was inspired to develop the exhibit while cataloging images of La Verna in a baroque book produced in the early 17th century by Jacopo Ligozzi, head of the Academy of the Arts of Drawing in Florence, Italy. He had been commissioned by Franciscan Brother Lino Moroni to illustrate the events surrounding St. Francis as well as the Franciscan sanctuary at La Verna for future generations of artists, historians, the faithful and the curious. Digging deeper, Hammer discovered the National Gallery of Art already had another similar book with engravings by Ligozzi in its holdings as well as numerous pieces of Franciscan-related art. It took several years to prepare, but the exhibit now is ready for viewing. 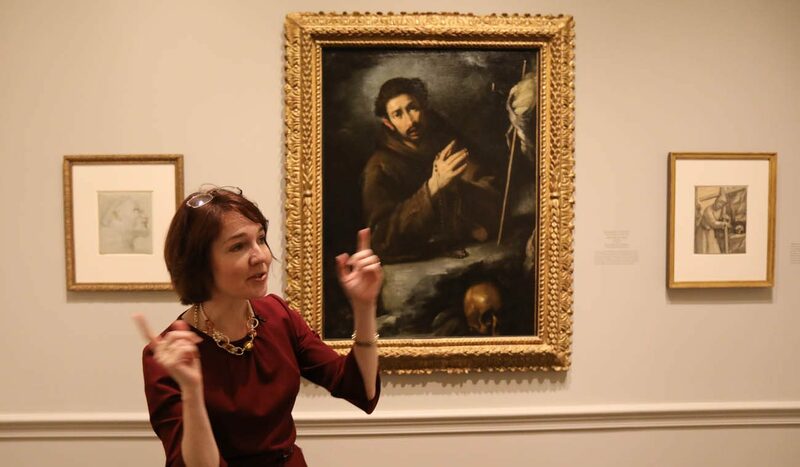 “My hope is when people come to see the show that they will walk with a certain understanding of the importance of Franciscan imagery within the 15th to the 18th centuries. … This was a period of great change for the Catholic Church,” Hammer explained. “First you have the Protestant Reformation and then you have the Counter-Reformation prompted by the Reformation. So the Catholic Church is trying to address those very big challenges made to it,” she said. 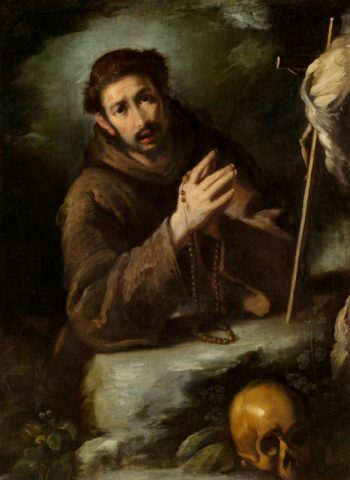 St. Francis was admired by Catholics and Protestants alike, Hammer added. Catholics liked him because he venerated the saints and promoted austerity through his desire to live simply and give up his possessions. Protestants liked that he held an “absolute adherence” to the Gospel and Scripture. St. Francis’ influence continues to this day, evidenced by Cardinal Jorge Bergoglio choosing the name Francis when he became pope in 2013, Hammer told CNS. “The fact that our current pope chose the name of Francis is inspiring in that he is returning to the values represented by (St.) Francis, which are joy, loving one’s enemies, embracing all of creation. This is something that was revolutionary at the time. … (St. Francis) was trying to take the truth of the Gospel and apply it directly to his every action,” she said. The exhibit runs through July 8. Hours are 10 a.m. to 5 p.m., Monday through Saturday and 11 a.m. to 6 p.m., Sunday (Eastern time). Admission is free.